If ever there were a time during the year to get excited about flowers it is the Spring time. Now that spring has sprung and the days are getting warmer, you will see fields full of fresh flowers. To celebrate Spring and all that it brings with it, we have had a look over our entire flower range so that we can give you our favorite Flower Picks for Spring 2014. A lovely bouquet of magnificent Tulips that are sure to warm you up this Spring. 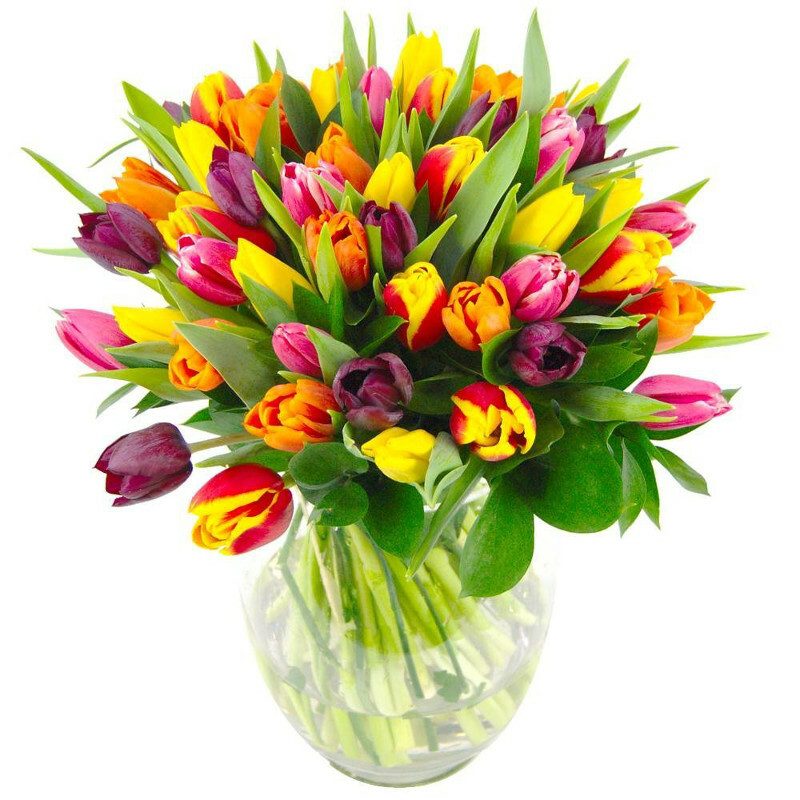 Containing a mixture of brighten yellows, reds, oranges, purples and pinks our Mixed Tulips bouquet is a fantastic gift for that special someone in your life. This bouquet will look fantastic around your home, whether you place it upon your coffee table or out in your conservatory. 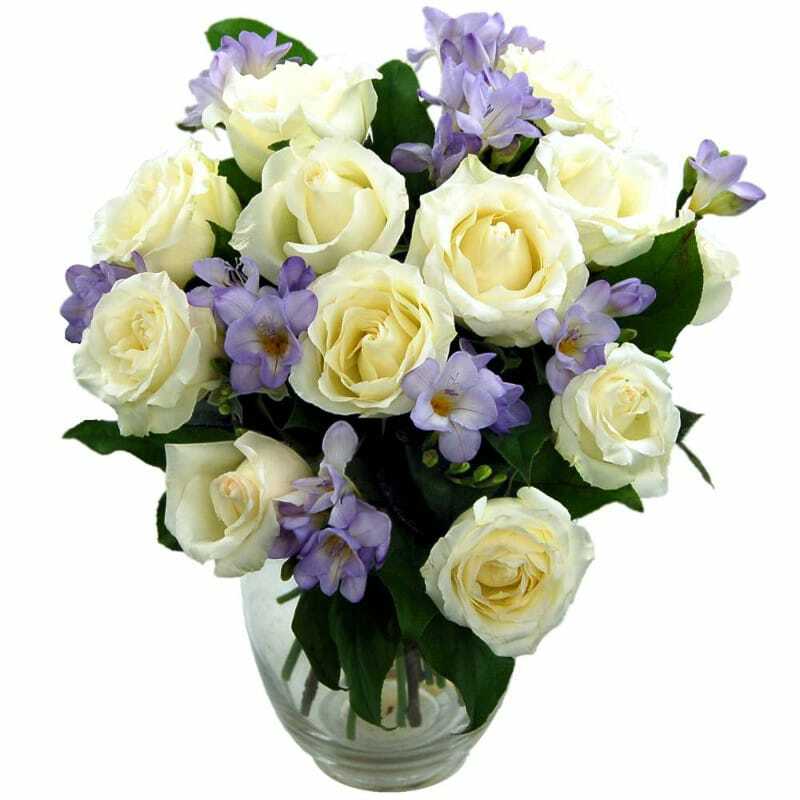 The Amethyst Bouquet is a beautiful looking bouquet made up from crisp white roses, purple freesia and green foliage. This charming bouquet adds a beautiful, elegant quality to your home, and is an ideal Spring bouquet to decorate your room. 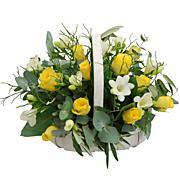 Another Spring Inspired arrangement, our Spring Harmony Basket is an attractive display of yellow roses and white freesias upon a green leaf backdrop which helps create a charming flower arrangement and will be a stunning addition to your home or office.